Do you want to improve your CV with research experience? If you are considering applying for residency one of the ways to increase your ‘retainability’ is by making your resume well rounded. Research experience can add some advantage when you are applying for residency. The sooner you start working on it, the better! 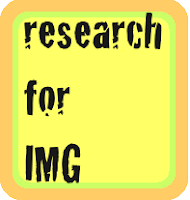 As an IMG, getting enough research opportunities are difficult. There are several hurdles on the way to increase the chances of landing a good research experience. Waiting until the last minute almost always does not work. The best-published and successful research experience is often cultivated through painstaking efforts, early. Think about what aspect of research you are most interested in, e.g. cardiology, neuroscience, psychiatry, psychology, child health etc. Typically, scientists are happy to talk about their research so don’t feel shy in approaching the faculty. Make sure you correspond with them, set up a time, and date for the ‘interview’. Once you like a project and are selected to work in a lab or group. Be consistent, regular and dependable. Have a strong work ethic and participate as much as you can. Who knows, if you impress the faculty well enough, you may even get a US LOR from a scientist researcher or a publication and this will boost your application manifold.